Henry and Helen Flynt of Greenwich, Connecticut, purchased and restored numerous houses along Deerfield’s Street between 1942 and 1962. 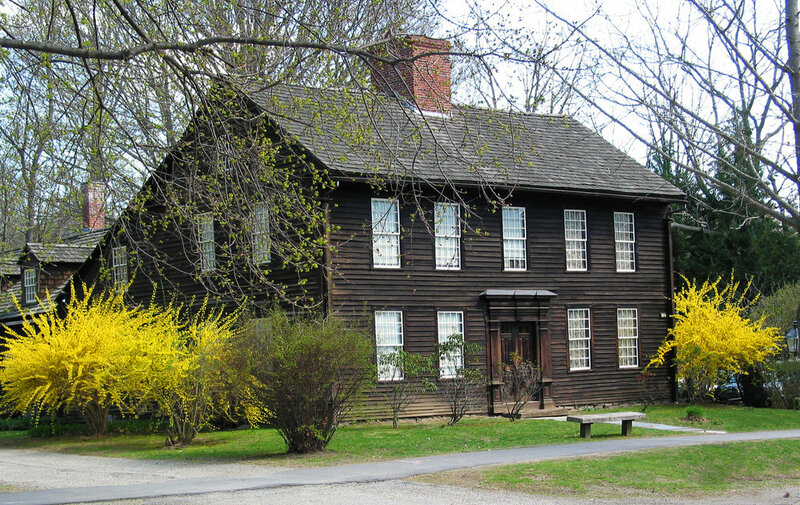 Built in 1734, and renovated in 1945, the Allen House served as their residence while they stayed in Deerfield. The evolution of the Flynts from their origins as Deerfield Academy parents to museum founders in 1952 is interpreted. The Flynts’ experience in Deerfield is also compared and contrasted to the efforts of other contemporary collectors such as the Rockefellers at Colonial Williamsburg, Henry Francis du Pont at Winterthur, and Henry Ford at Greenfield Village. The interiors of this house have been left as they were when the Flynts lived here including such personal belongings as clothing, newspapers, and curios. The house also served as a showplace for their outstanding collections of American antiques including New England furniture, English needlework, Chinese export porcelain, Dutch Delftware, and American pewter. One of their favorite rooms was the “Hogarth Room,” named after the English artist, which features several prints by William Hogarth, portraits by John Singleton Copley, early 18th-century furniture, and English creamware. The bed chamber across the hall displays needlework bed hangings by Esther Meacham Strong, granddaughter of the “Redeemed Captive,” John Williams, as well as an extraordinary painted chest of drawers with vine and tulip decoration from Saybrook, Connecticut. Guided tours of the Allen House are available by appointment during the regular season. Please check at the Hall Tavern Visitor Center desk for more information about tour times.